Create, Manipulate and Convert OneNote files to multiple formats without any Microsoft OneNote dependencies. Open NuGet package manager, search for Aspose.Note and install. Aspose.Note for .NET is a standalone OneNote documents manipulation API. 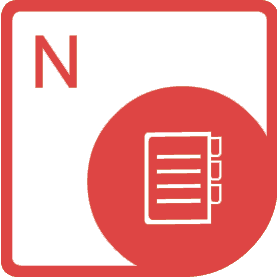 Applications can easily provide functionality such as read, convert, create, edit and manipulate Microsoft OneNote files as well as manipulate the elements of OneNote books and then export to different formats. 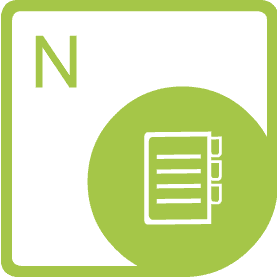 After API integration, Developers can load OneNote documents, render text and images from OneNote file to multiple formats, navigate through the OneNote document object model, extract text from any part of a OneNote file and a lot more. You can confidently use Aspose.Note for .NET to build any type of a 32-bit or 64-bit .NET application. Aspose.Note for .NET supports OneNote file format along with some commonly used image formats for export. Developers can easily load ONE files and render them in different image formats TIFF, JPEG, GIF, PNG & BMP. Moreover, the API supports converting the OneNote documents to PDF format for easy sharing. Aspose.Note for .NET allows to access and read the properties of different objects like document, page, text and image through its OneNote Object Model. 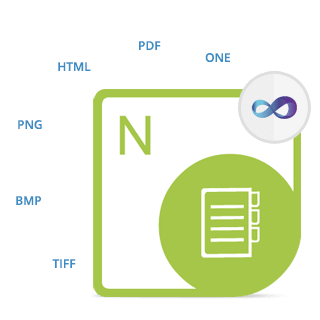 Furthermore, the API enables users to access the OneNote book image properties including file name, width, height, file extension, last modified date and so on. Aspose.Note for .NET allows to print OneNote documents using various options, with just a few lines of code. You can choose to print using the default settings, print with specific job name or choose to print a range of pages. Moreover, you may also specify printer settings such as page layout and margins. Aspose.Note for .NET is built using managed code that does not need Microsoft Office or Microsoft OneNote to be installed on the machine to work with OneNote files. It is a perfect Microsoft OneNote automation alternative in terms of supported features, security, stability, scalability, speed and price.